There is a story about a battle that goes on inside each of us. 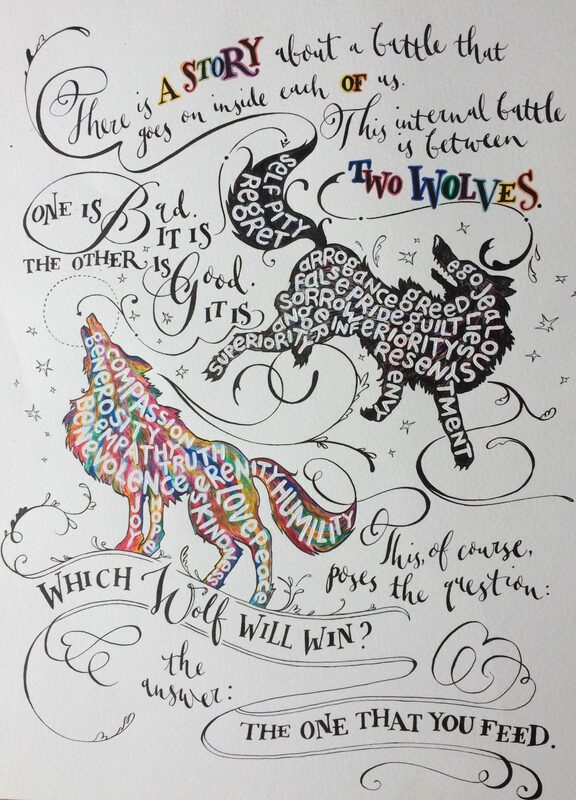 This internal battle is between two wolves. One is bad. It is anger, envy, jealousy, sorrow, regret, greed, arrogance, self-pity, guilt, resentment, inferiority, lies, false pride, superiority, and ego. The other is good. It is joy, peace, love, hope, serenity, humility, kindness, benevolence, empathy, generosity, truth and compassion. This story is how we found our name. We really connected with the notion of being able to feed your good wolf, it’s something that is applicable to every person in the world, no matter who you are. The idea of being able to provide arts, services and activities which bring a wider set of resources for people to feed their good wolf now and in the future really appealed to us.